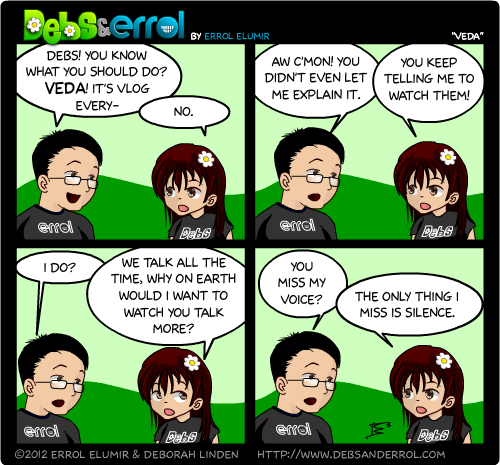 Errol: VEDA is Vlog Every Day in April, and was started by this person. I figured I would do it because … uh… I dunno. Although I was out for sushi with Manda and Mai Sheri joined us and Mai Sheri introduced us to it. So it seemed fun to do!